An author of traditional regency romance with a modern sensibility, Charlotte writes unashamedly romantic books for fans of classic love stories. If you love Jane Austen and Georgette Heyer, can't get enough of Downton Abbey or Victoria, or just prefer old-fashioned boy-meets-girl stories, try reading Charlotte Brentwood. You'll find sweet romance stories with captivating plots and appealing characters. Find out more about Charlotte by reading her bio, her blog (which chronicles her writing journey) or get in touch. The second book of the Hearts of Amberley series, Gloved Heart, is out now! Read more about Gloved Heart here. 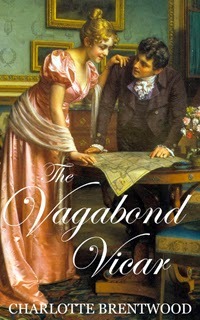 Book 1, The Vagabond Vicar is available in print and digital editions.